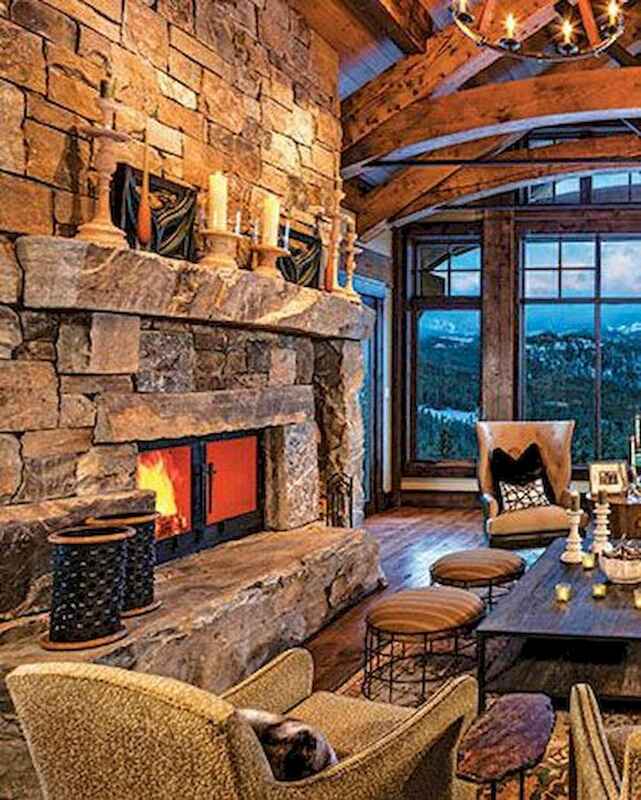 Nothing quite matches the charm of a rustic log cabin with a roaring fireplace in the winter. It arouses feelings of warmth, nostalgia and peace, especially after a long day in the cold. While in more traditional homes, fireplaces no longer hold the same status that they once did; in log cabins they are very much a necessity. Fireplaces not only serve a practical purpose of bringing warmth to your home, but they offer a relaxing and cheerful place to cosy up around with family and friends. It’s a place to snuggle up with a book and a cup of cocoa, a place to warm your toes after a long day. Fireplaces can also reduce heating costs, and reduce your carbon footprint by using wood which is a renewable source. Most log cabin fireplaces are made using stone which is one of the most complimentary materials available to wood. Although the building material may be similar in most of the fireplaces we see, the variation in design is huge. From small humble wood burners to huge majestic designs, let’s relax and take a look at some of our favourite fireplaces.